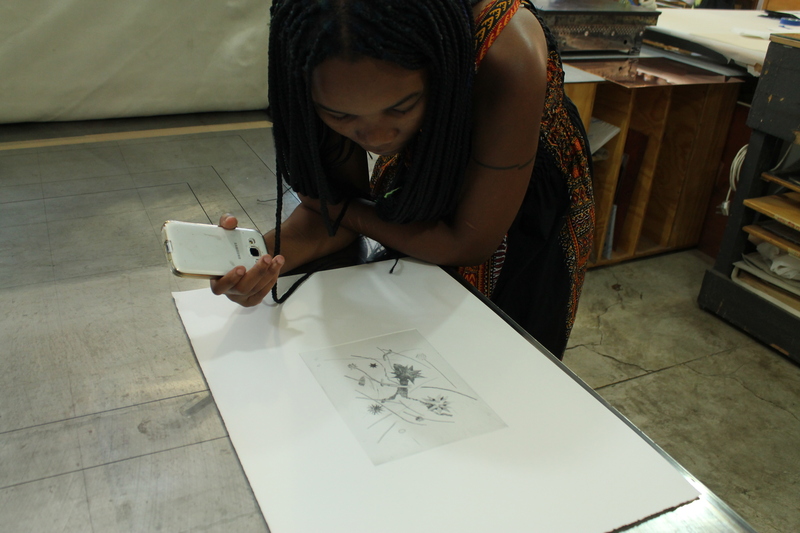 Last week, we had the pleasure of welcoming young up-and-coming artist, Keneilwe Mokoena, to the workshop to carve some test plates. Mokoena is from Pretoria, where she studied Fine Art at Tshwane University of Technology (TUT), specialising in drawing and painting. She was recently awarded the prestigious Reinhold Cassirer Award, resulting in a ten-week residency at the Bag Factory, which will follow with an exhibition of her work alongside previous winners. 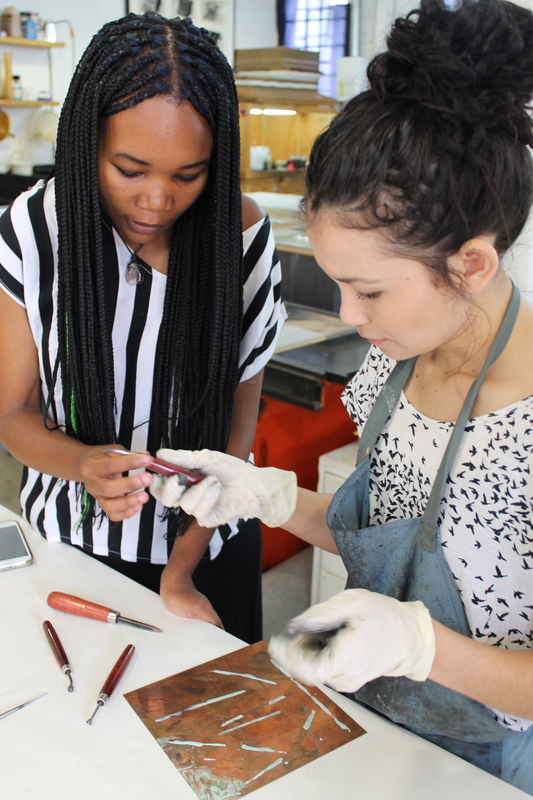 Printer Kim-Lee Loggenberg (right) sets Mokoena up with needles and a copper test plate. 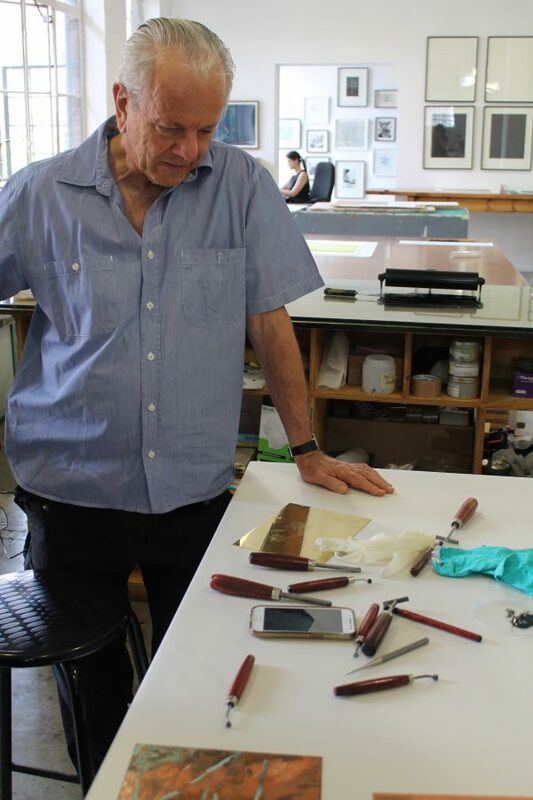 Master printer, Jill Ross demonstrates shading techniques and methods to build a line. 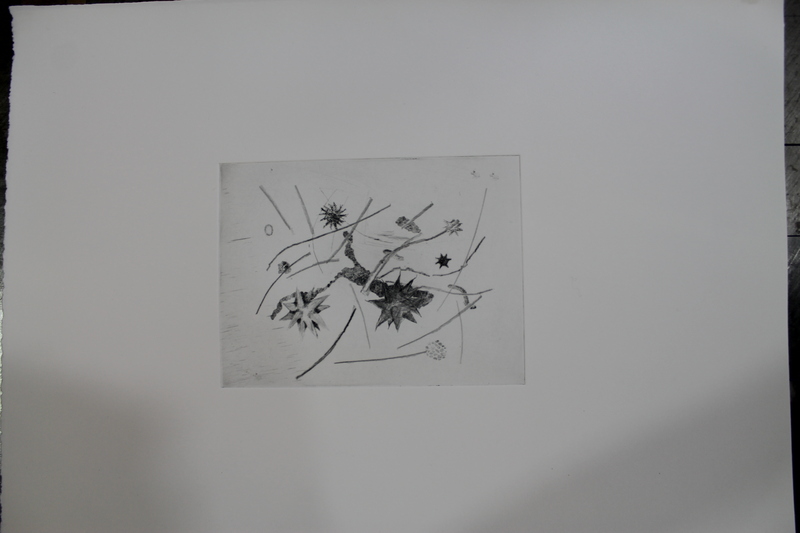 Although Mokoena recently completed an art degree, she has not printed for some time. David Krut comes into the workshop to check on Mokoena’s progress. 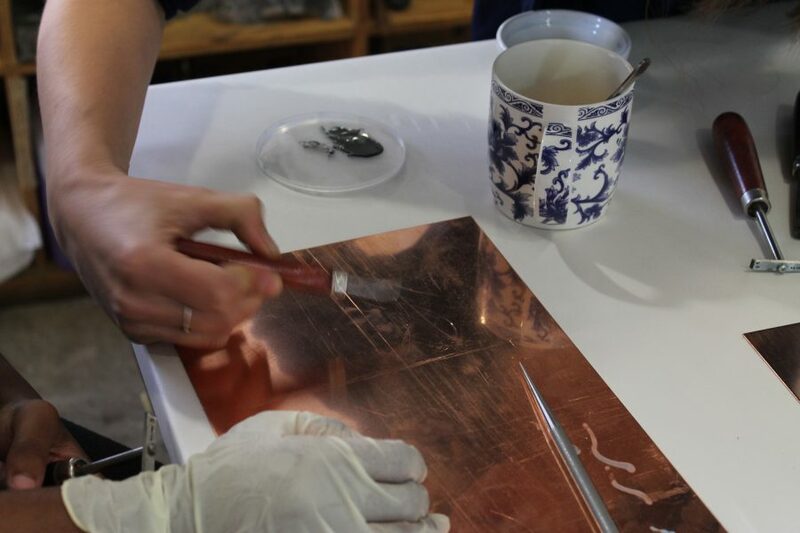 After experimenting with the etching tools, Mokoena moves on to a freshly polished brass plate. 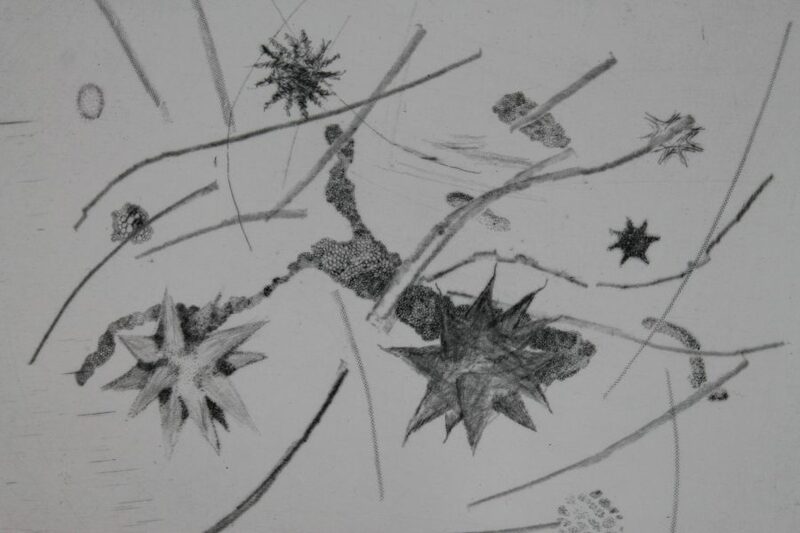 She works in drypoint, etching an imagined image that resembles molecules and wispy dandelions. Analysing the results, Mokoena is pleased with the chaotic nature of the composition, which reflects the disordered natural environment that she is portraying. She resolves that next time she will make harsher marks in order to achieve more tonal shifts, but she is pleased with the clean, crisp quality of some of the lines as well as the hazier, grainy parts. She finds these effects to be apt for her subject matter, but would reduce the burr effect in parts. For future, Jill recommends that Mokoena push herself further to create more tonal difference and sensitivity of line.